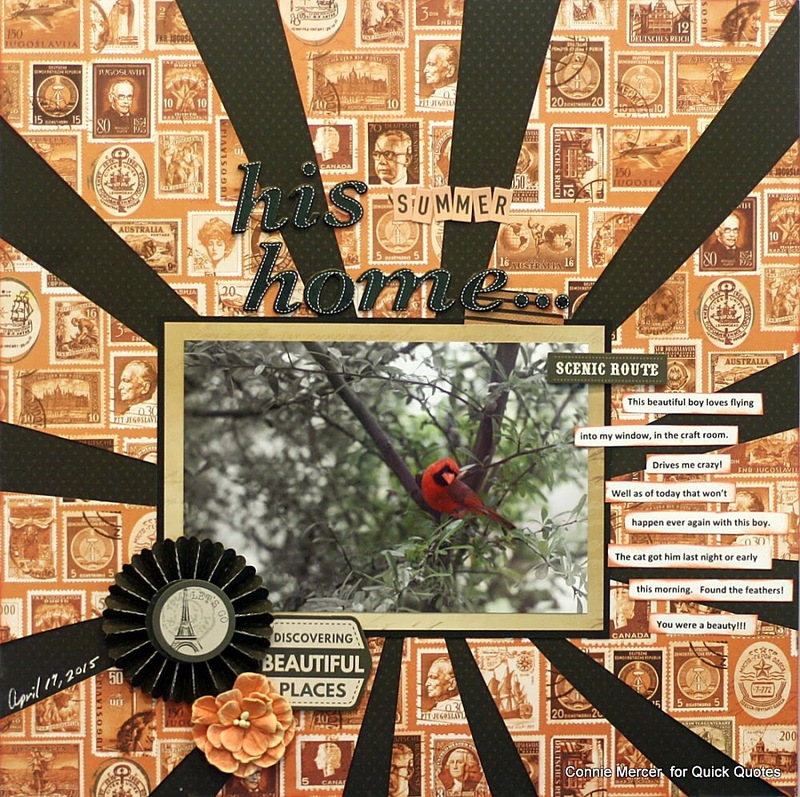 Blog Quick Quotes: His Summer Home by Connie! His Summer Home by Connie! 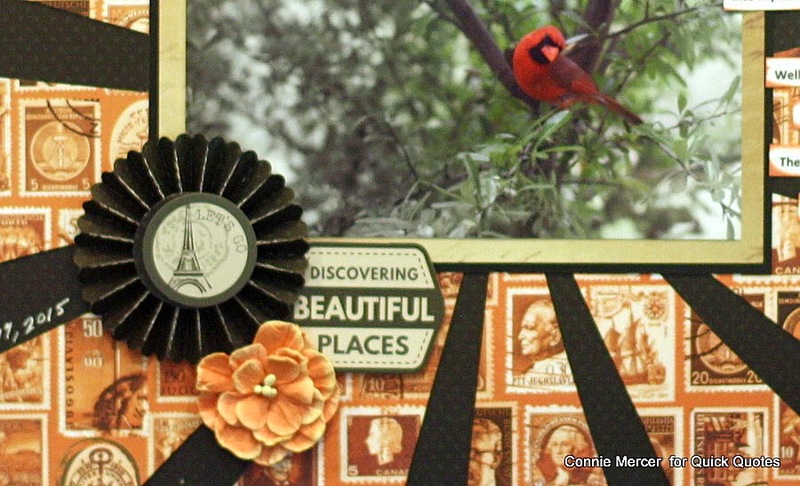 Hi, Connie here with a scrapbook page using the Gypsy Road Collection by Quick Quotes. This page has a sad ending but a crazy beginning, so I just had to scrapbook the story. This beautiful boy, Cardinal, loves flying into my craft room windows all day long. Drives me crazy!!! I wish he would stop but it has allowed me to get some good shots of him sitting on the tree branch. Early this morning the cat must of had enough also, because we found red feathers out by a big tree in the yard. It has been quiet, no more banging into the windows, kind of sad but kind of nice!!! My tribute to a pretty boy!! !